New Year, new adventures. That appears to be the motto of the juveniles, in particular the foster chicks who have taken a liking to the bay at Le Pulec, known to locals as “Stinky Bay”. This area is just below Battery Moltke, Les Landes, where we reported the choughs were last month. So not a surprise, but certainly an interesting addition to their home range. The bay has plenty of rotting seaweed, hence the name, harbouring insects attractive to many shorebirds. 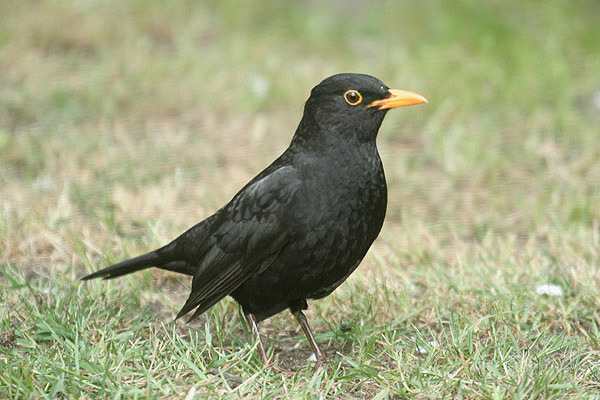 Are the choughs also exploiting this food resource as Scottish choughs do? Seaweed collects by the sea wall defence providing birds with plenty of invertebrates to feed off. Photo by Liz Corry. So far our observations suggest not. 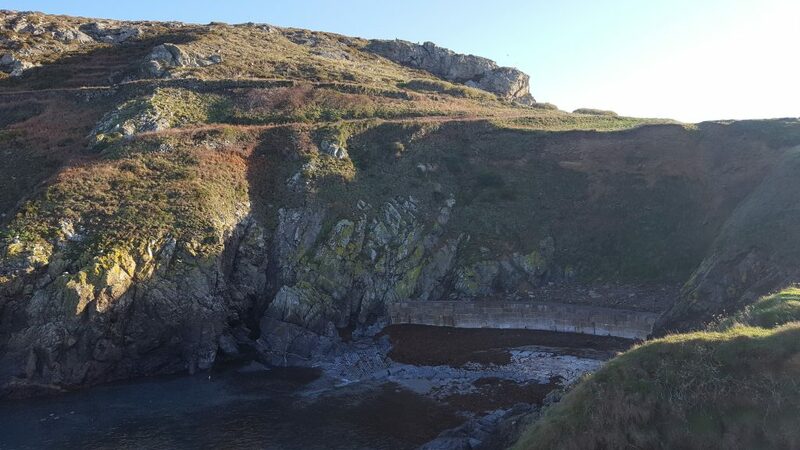 Trying my best to avoid analogies to a certain president and his wall, there is a current divide between the shore birds foraging below the sea wall defence and the choughs probing the loose soil on the other side. 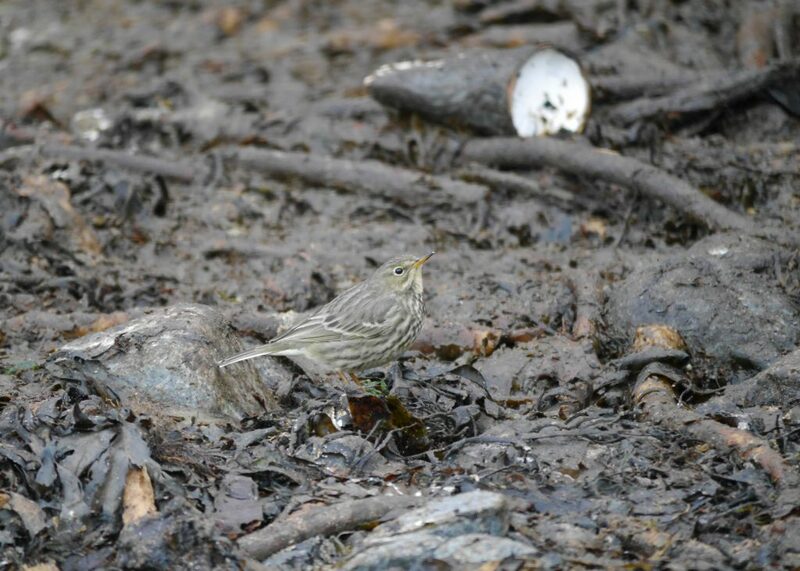 Dozens of rock pipits were down at Stinky Bay to raid the strandline for tasty morsels. Photo by Liz Corry. 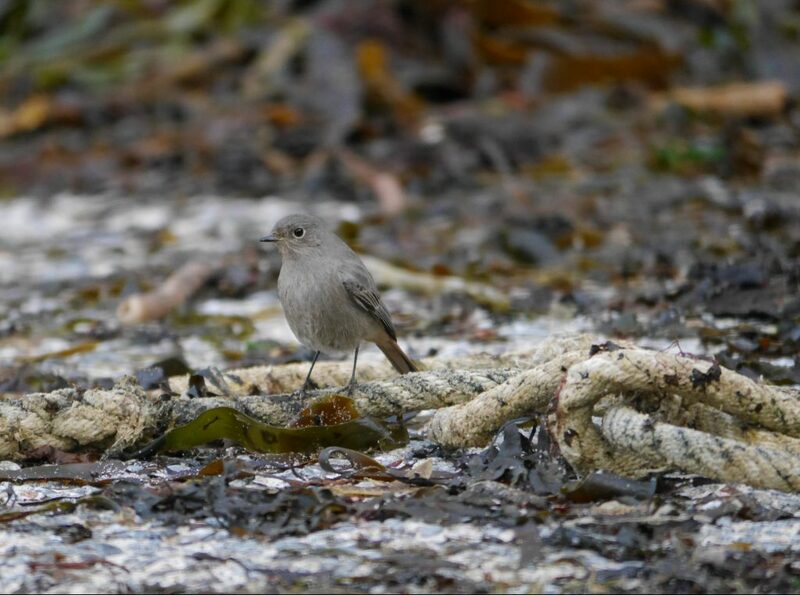 Black redstart at Le Pulec joining in on the breakfast feast. Photo by Liz Corry. 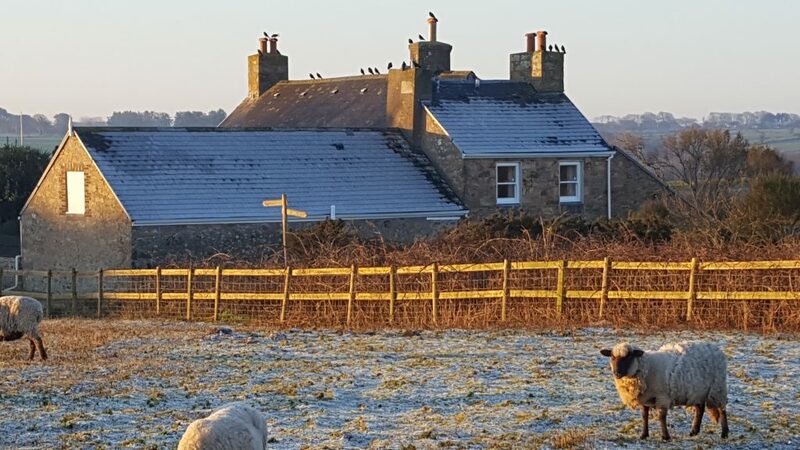 That may change as January’s freezing temperatures restrict the amount of food available in the coastal grassland forcing the choughs to look for alternative sources. The choughs were definitely more hungry this month than last. Wing-begging at staff is just one way to determine how hungry each individual is. Having the entire group of 35 stalk staff from the public car park along the cliff path to the aviary shows just how little wild food is available. They also had a great desire to cache food in preparation for the cold days that lay ahead. Something I think the magpies have cottoned on to as I observed a pair promptly dig up a stash once the unsuspecting chough had left. The first time the juveniles were spotted alone at Le Pulec there was concern that they might not have the gumption to make it out of the bay and back to the aviary. Would they find enough food in the bay? View over Le Pulec and L’Etacq from the Battery Moltke where the juveniles have been spending their mornings. Photo by Liz Corry. I had spent the first hour of the morning above the bay at Les Landes trying to pinpoint the radio signals. When I arrived at Le Pulec car park and walked around to look across the bay I could make out six chough shapes on the cliff face, but couldn’t identify them. Until that is, they took to the air calling excitedly and four choughs flew over to land behind me within 5 metres of where I stood. Vicq and Wally flying to greet the keeper at Le Pulec. Photo by Liz Corry. In a roll-call fashion I ticked off Ubé, Wally, Vicq, and Xaviour, i.e. 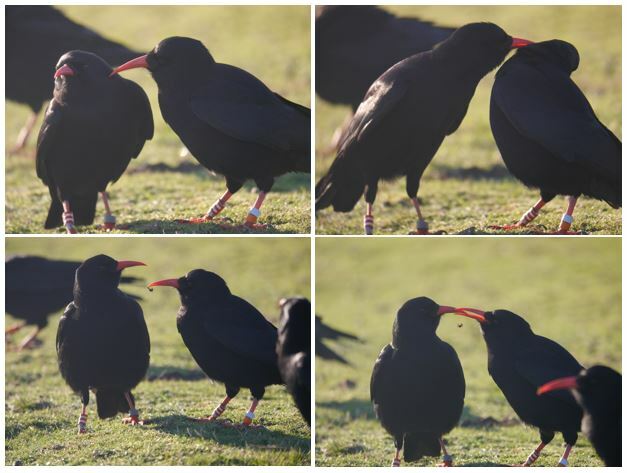 the four foster chicks, from the list of missing choughs. Once they realised I had no food for them they re-joined the other two juveniles in the bay. By 10:50 I had to leave so I could put the supplemental feed out at Sorel. On arrival at Sorel twenty minutes later the entire flock greeted me, headed up by none other than Ubé, Wally, Vicq, and Xaviour! 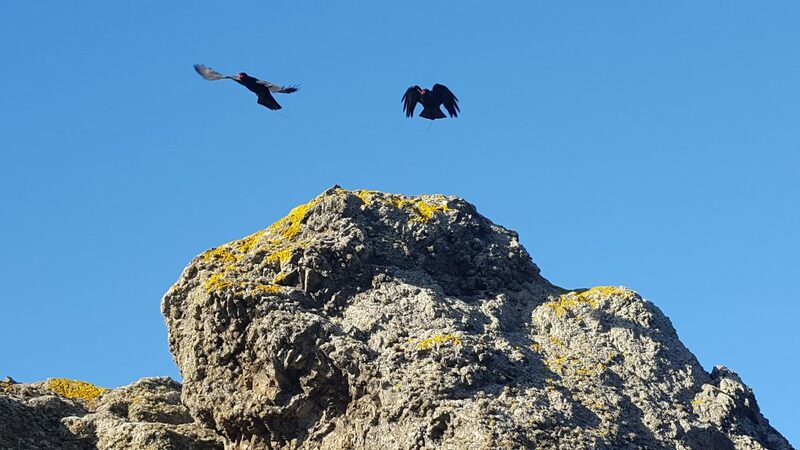 Choughs foraging at Sorel. Photo by Liz Corry. This demonstrates how well the birds have learnt to associate the aviary with food, how they can map out the land, and how they somehow know what time it is! The older choughs have also been spending more time away from Sorel although they don’t seem to wander as far. Crabbé is still a favourite for them. They like flying around Plémont and have been seen at Les Landes, but in terms of foraging they prefer to stay within sight of Sorel. 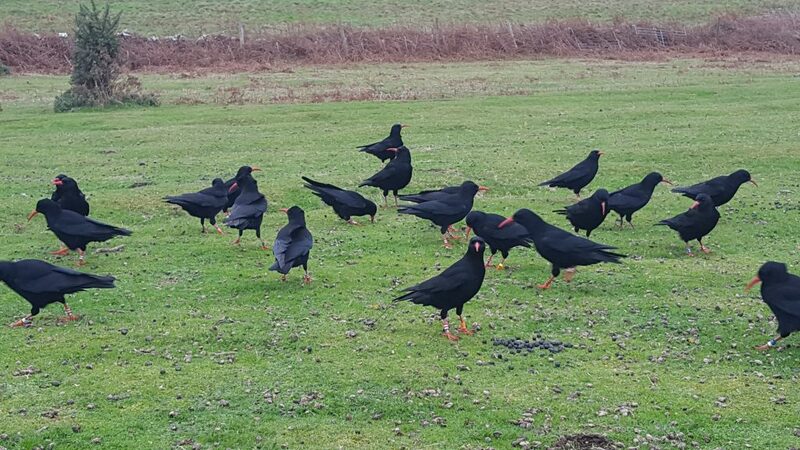 Twenty-two choughs congregating on the roof of Crabbé Farm. The rest of the group were over on the west coast. Photo by Liz Corry. 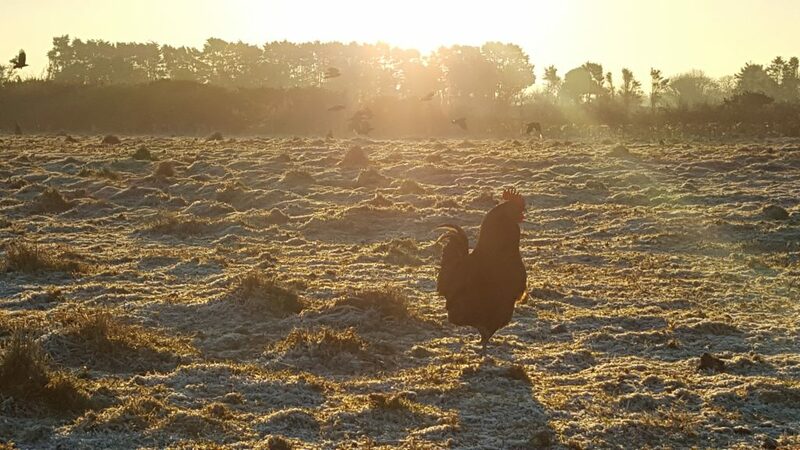 The choughs at Crabbé tried their best to find food in the fields despite frost and formidable chickens. Photo by Liz Corry. Lee and Caûvette are still doing their thing over at Les Landes in the mornings. Inching far too close to peregrine territory for our liking. Especially now the juveniles are following their lead. 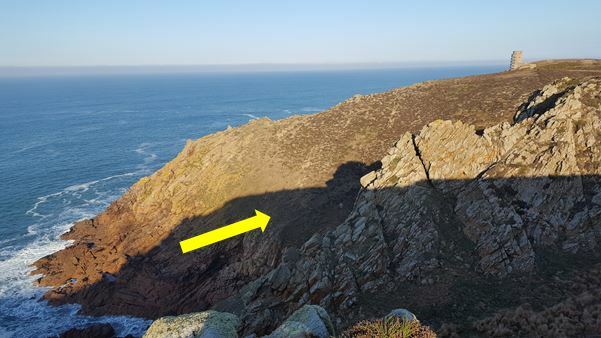 Seven choughs (yellow arrow) foraging on the cliffs by the Pinacle. Three had radio-transmitters attached making it a bit easier to locate and identify them. Photo by Liz Corry. There is another pair, Bean and Kevin, who have started playing truant at the morning feed although not as frequent as yet to suspect anything. We may struggle in future weeks to identify individuals as some of the plastic rings are snapping off. Notably breeding males Dingle and Green have lost rings. Once the repair work on the aviary is completed, we should be able to trap birds inside once again allowing rings to be replaced before the breeding season kicks off. Red has been missing her red leg ring for sometime. Now with the others losing theirs we need to catch her up to fit a new red ring. Photo by Liz Corry. With cases of bird flu being declared in France and the UK we are taking various precautions within the Zoo to minimise the threat to our collection in Jersey. 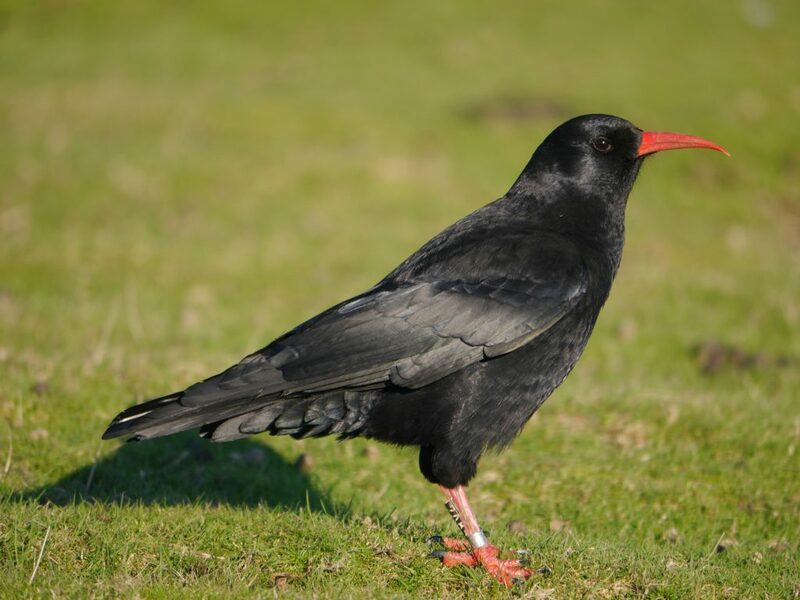 For this reason staff working on the chough project are changing footwear when entering zoo grounds, a disinfection footbath and separate wellies are in use at Sorel aviary, and chough food is being prepared away from the Zoo Bird Kitchen to reduce any potential cross-contamination. To date bird flu has not been recorded in the Channel Islands. 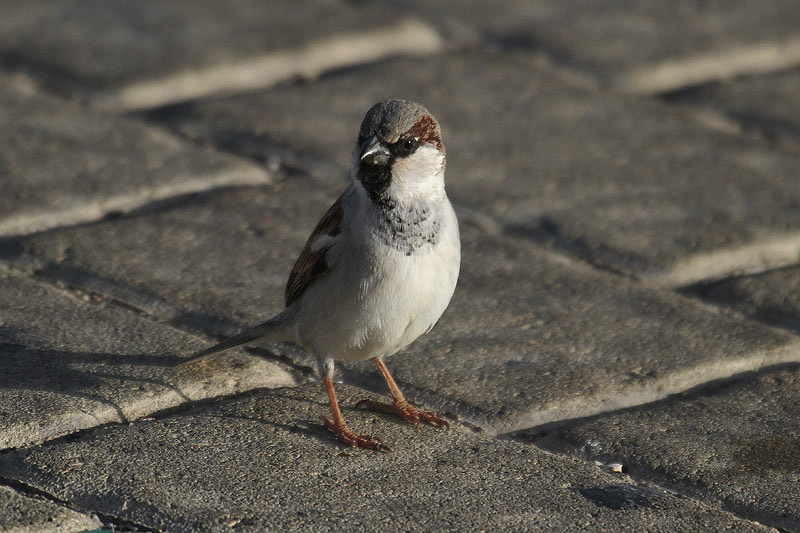 However, the States Vet is asking Islanders to be cautious and follow recommendations including reporting dead birds to the States Veterinary Office. Click here for more information. Ube and Wally checking themselves for bird flu. Photo by Liz Corry. 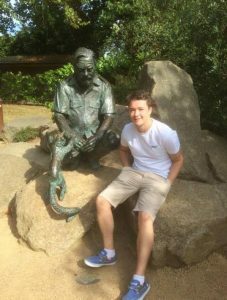 Simon Inman, our current student placement on the chough project, is loving his time at Durrell so much that he is going to jump 10,000 feet from a plane! Student Simon Inman is raising funds for the choughs and Durrell through a sponsored skydive. That sentence might need re-wording, but essentially Simon is going to do a skydive in summer and would like to raise funds for the choughs at the same time. So if you would like to support the choughs, and Simon’s craziness, please click here to visit his JustGiving page and donate. His fundraising target is £150 which will pay for camera equipment for the nest box in the display aviary at the Zoo. We hope to set up a wireless network to send live footage direct to a PC and our smartphones. Last year, the pair in that aviary successfully reared two chicks for the first time. A third unfortunately died. We might have been able to save it if we could have observed nest activity in real time and intervened at the first sign of decline. Plus, if you all donate money it makes it harder for him to back out at 10, 000 feet in the air! This two day celebration of Jersey’s wildlife is open to all with free entry. There will be stalls, displays, activities, talks and training workshops given by a range of local and national speakers. 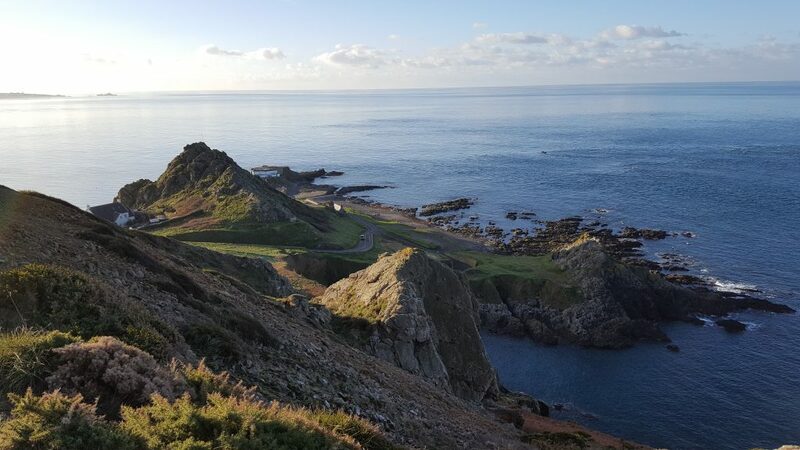 A series of talks offered to all who are interested, which will showcase environmental projects happening in Jersey that could do with a helping hand. No need to book, take your pick! 10:00 Making the Difference: The Seasearch Observer Project. Kevin McIlwee, Jersey Seasearch. 10:30 It’s all about scale(s): An uncertain future for Jersey’s grass snakes. Rob Ward, University of Kent. 11:00 The National Plant Monitoring Scheme: Developing a new volunteer-based plant monitoring scheme. Dr Oliver Pescott, National Biological Records Centre. 11:30 The Coastline Campaign: Making a difference. Charles Alluto and Jon Parkes, National Trust for Jersey. Training offered to all, providing an opportunity for everyone to get involved in scientific research. Training in amphibian and reptile identification, habitat assessment, survey methods, recording, health & safety. 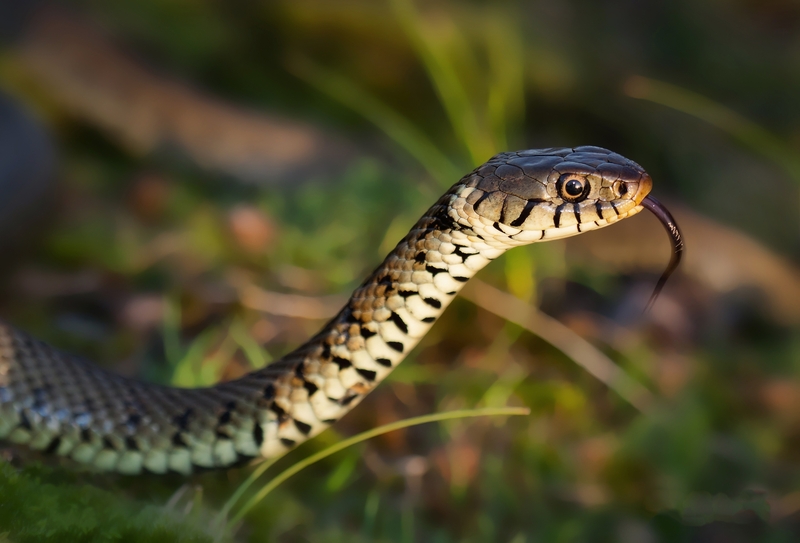 Including advanced skills for grass snake surveying, highlighting the issues in detecting grass snakes in Jersey and how to improve your chances of finding them. We will provide guidance and training on what data should be collected. This workshop will begin with an overview of the NPMS scheme, and how to identify areas to survey. This will be followed by a field trip, meeting at Les Landes primary school car park. The field survey will explore the areas chosen in the classroom. If time allows, some identification of plants will also be demonstrated. No need to book, take your pick! 10:00 Corks, Pellets & Rings. Bob Tompkins, Jersey Barn Owl Conservation. 10:30 Wildlife in urban and suburban habitats. Attitudes, challenges and opportunities. Sue Clarke, Wessex Environmental Consultants. 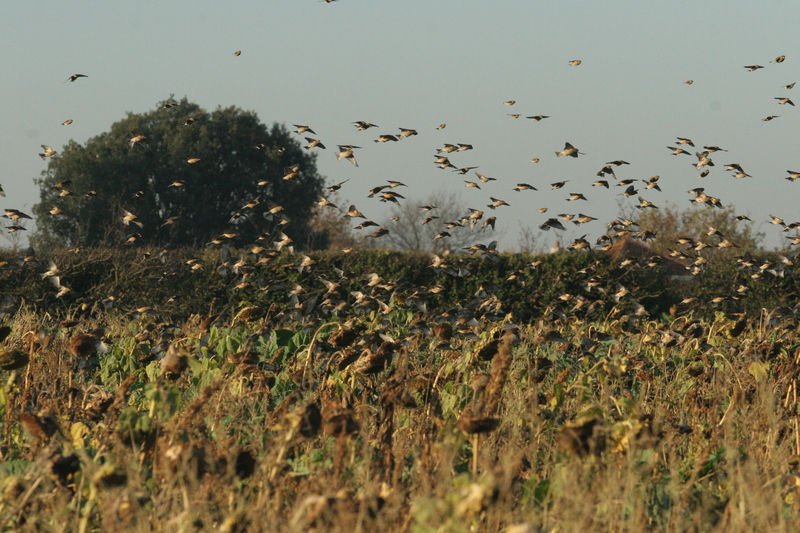 11:30 Winter is coming…and it’ll be fine: A lifeline for farmland birds. Cristina Sellares, Birds On The Edge. 12:00 Lighting the Spark: Connecting children to nature to inspire environmental stewardship. Stephen Le Quesne, Wild Jersey. Habitat management at Grouville Marsh. Willow management and dead hedging along the stream edge. Bring hand saws, loppers, secateurs, gloves (some provided)… and wellies!! Followed by Kim’s Kakes and a cuppa! Meet at Longbeach car park, Grouville. 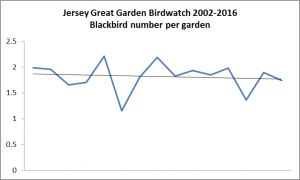 Another year gone and once again its time to count the birds in our gardens during the Action for Wildlife, Birds On The Edge and Jersey Evening Post Great Garden Birdwatch. Few things show us more how the environment around us, our own living-space, is faring than looking at the birds that have chosen to live alongside us. 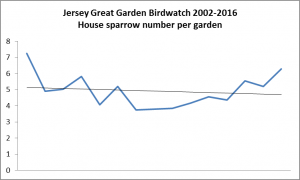 If all is well there it shows that our environment is healthy while, conversely, obvious declines in bird numbers suggest that all is not well at home. 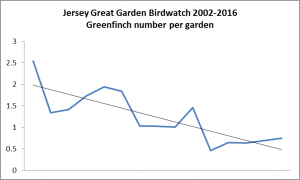 Analysis of sightings from the previous 15 years of this survey makes it very obvious that not all our favourite garden birds are faring so well and that populations are changing dramatically. But, how exactly do we know. Well, through as many people as possible counting them. And not just birdwatchers but everyone who likes birds because, let’s face it, everyone does like birds. And they are often easy to count because they can be pretty obvious especially when they come into our gardens to the food we put out for them. Data shown by the survey are very important in highlighting what is happening in our wider environment and, while not covering the whole countryside, results do bring home to everyone wider concerns. Just think, if the birds are doing badly in our gardens where we feed and protect them, what is happening out there in the rest of the world. So, please, over this weekend follow the guidelines printed below or in today’s JEP and tell us what birds you see. We can add up all the counts (we have 15 years’ worth already) and easily pick up changes that are happening right in front of us. Will there be even fewer greenfinches than last year and will wood pigeons have finally taken over our bird tables? We call this ‘citizen science’ so consider yourself all citizen scientists! 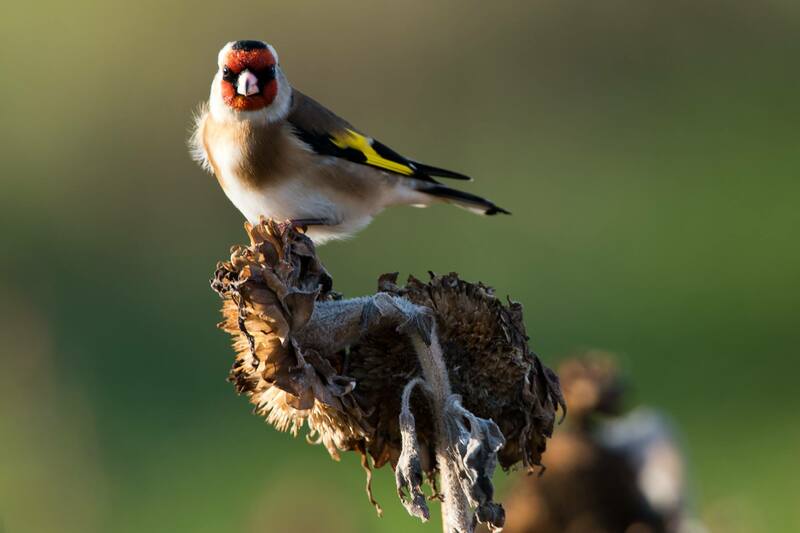 Survey forms and a handy identification guide will be published in the JEP on Thursday the 2nd and all data received will be passed on to La Société Jersiaise to add to their records and included in Birds On The Edge bird monitoring analyses.